Minibus Transport Solutions is the place where you can find transport facility in Hornchurch for your any event whether family, business, birthdays, wedding, funerals, dates, farewells at schools etc. it is a very cheap service with all facilities and requirements. We also provide pick and drops to children at school, college, university. Can you imagine that for your school going children our service is the best as we provide full security assurance. As our vehicles are provided with navigators and trackers. 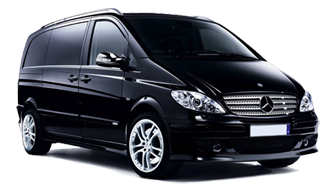 Minibus Hire Hornchurch provides qualified drivers. We provides Hornchurch airport transfer services for all airports including Heathrow airport, Gatwick airport, Stansted airport, Luton airport, London city airport, Manchester airport, Birmingham airport and Glasgow Airport Taxi with Driver and all those facilities which suit the standard. We also give pick and drop service with boarding guidelines. We have contacts at airports which can give support in case of any inconvenience. Visit our website and pricing plan before going on travel. We also give meet and greet facility in which driver will pick you at boarding by having a sign board with written name and flight no. it is especially very helpful for those who are the new comers in London. Minibus hire Hornchurch provides 7, 8, 9, 12, 14, 16 Seater Minibus which can help in all of your events. You can also demand anything like vehicles having extra space for luggage. We have vehicles having stands on the roof which are safe and spacious. We also provides cold drinks, snacks etc during travel to enjoy great variety of songs and entertainment. You can demand anything else at the time of booking which will be provided on spot. You can avail rest time during journey as we have specific spots which are safe and convenient. Therefore, do not forget to visit our website. Make a call and ensure your booking along with all world class facilities. We are 24 hours a day for your convenience.